* * * App Store Essential & Best Games of 2014 * * * Embark on a wondrous adventure and solve hundreds of mind boggling word puzzles. 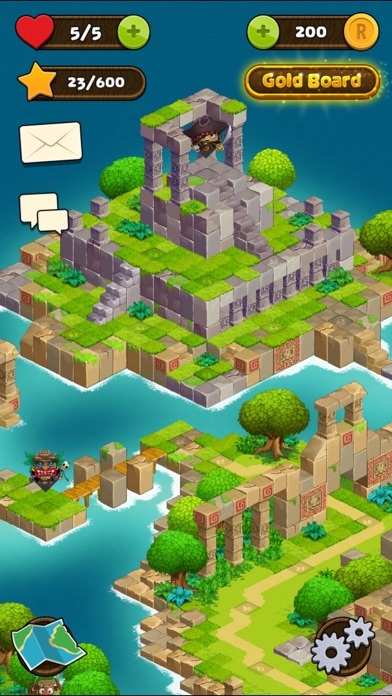 From the creators of Ruzzle, one of the most popular word games ever created, Ruzzle Adventure is a different interpretation of the original idea, challenging players in a single player journey through hundreds of levels. Can you escape the rising water, unlock the locked letters? Ruzzle Adventure offers the same signature finger-swiping mechanic as Ruzzle, but presents it in a whole new way. Every puzzle you encounter is unique. 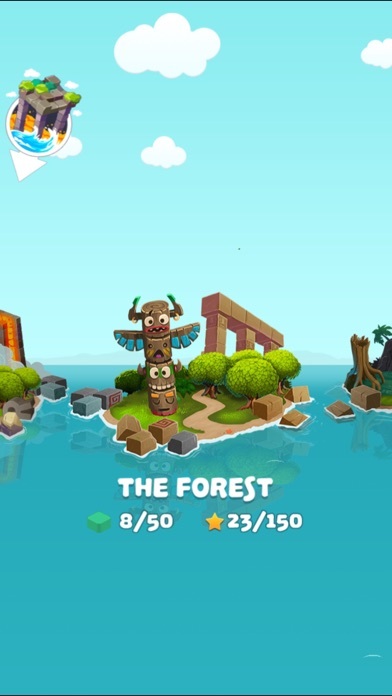 Explore the magical worlds and amazing landscapes as you advance further into the deep forests of Ruzzle Adventure, while at the same time practicing your vocabulary and spelling abilities. Ruzzle Adventure features: - Easy and fun to play, but a challenge to fully master - Hundreds of mind boggling levels - Boosters to help with those challenging levels The game is completely free to play, but some things in the game may require payment. You can turn off the payment function by disabling Buy-in-app in your device settings. 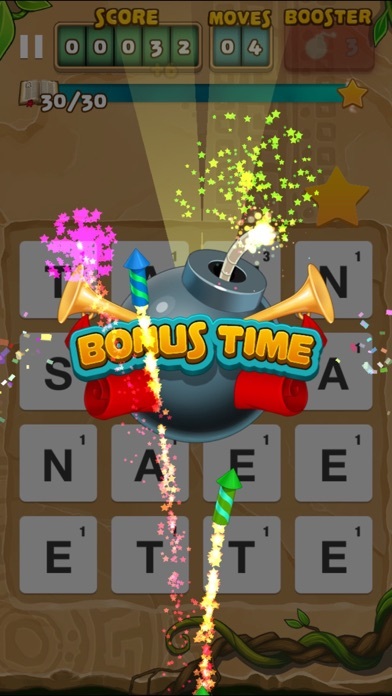 -- Ruzzle Adventure has been lovingly created by MAG Interactive, where we take fun seriously. 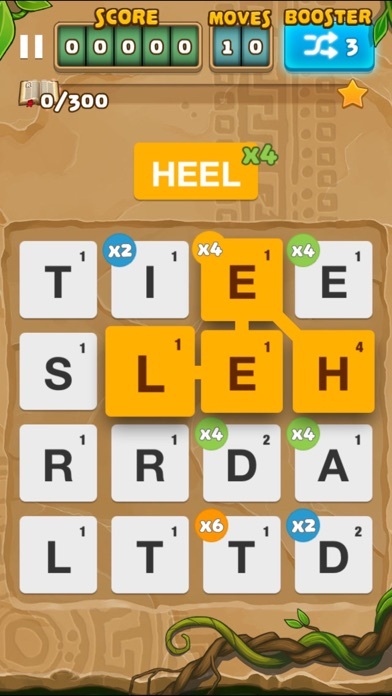 Join a global audience of more than 100 million players and check out some of our other chart-topping hit games like Ruzzle, Wordbrain or Wordalot! We really value your feedback, go to Ruzzle Adventure on Facebook and say what's on your mind! More about MAG Interactive on our webpage Good Times! 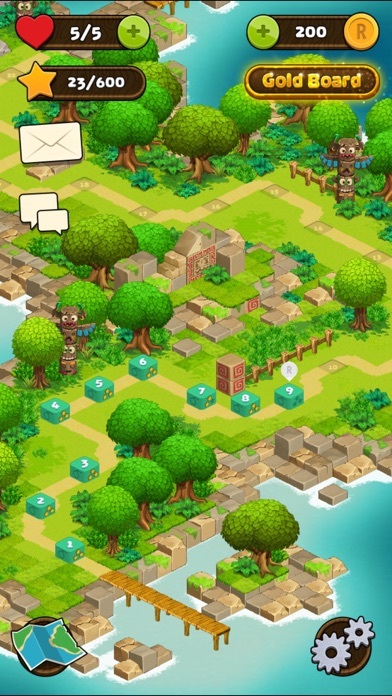 The first few levels are tutorial levels. Super easy, slightly fun, BUT THEN you get to level 4. This one instructs you to use the booster button and detonate a bomb. There is no highlighted button. I have tapped every centimeter of the screen and......nothing. Resetting the app doesn’t work. Resetting the level doesn’t work. Seems like it could be fun....if it didn’t freeze at level 4. Level 51 has bugs. No matter how many bombs I use, it doesn’t move me to the next level. Where oh where is Pam the Pirate? She does not appear on final level of The Forest. Have sent couple emails to support but no answer. Can’t co to jet game u less this level is complete. I I am ready to delete. I am stuck at level 4 as well and not letting me select the bomb booster and I can not move forward from here! Very disappointed! I have this game on my IPad and I have gotten quite far. I downloaded it on my phone and started back at level 1 and once I got to level 4 it won’t let me go on. No way to exit the guided tutorial and won’t detonate the bomb it was trying to get me to use. Tried on several days, tried closing the app. Nothing works. Quite frustrated and disappointed by this. I have gotten all the way to Area 42, Level 170, but this level is bugged. I have to kill 5 green slimes, but I have been stuck here for several months because there is no way to get 5 slimes to appear. At best, I have gotten 4 to appear. At worst, yesterday, only one spawned. Using specials breaks the level, but even with no specials, I can't get past it. Please fix this! I love this game. You would think that with all the 1 star reviews about the game freezing on level 4 the developers would do something about it! Add me to the list of people in level 4 limbo. Fun game, but I had same problem as Feb 10 reviewer. Can’t get passed level 4 sooooo maybe someone should fix that since multiple reviews said the same thing in the passed months. Same problem as another reviewer. I can't click the bomb power-up during the tutorial, so I can't advance past the third tutorial round. I was looking forward to this game! iPhone XS Max, current iOS version. I played this game awhile ago and enjoyed it, and I decided to download it and start again. The screen gets stuck on level 4 now, and you’re stuck. It’s trying to tell you how to use a bomb, but you can’t click on anything and get past it. That’s it-you’re done. So frustrating - what a stupid fail on the developer side. Could be a good game if it would work past the tutorial phase. Disappointed. I tapped it I think. Doesn’t really say which one is the booster button. Doesn’t do anything. Stats like that. Did I win? At level 4 it says i have to detonate the bomb booster but all the boosters are dark and I can’t tap anything. I tried everything also restarted the game nothing helps. The game was good until level 4. Now it will not let me play level 4 or do anything. Once I got to level 4, it told me to click on the bomb booster to detonate everything. (Still in tutorial phases). The 4 booster icons pop up. It would obviously make sense that I need to click the bomb booster icon to proceed. Except the icons are all dark and do not allow me to choose them. I can’t exit out either. I can’t do anything. I have tried clicking every single space on the screen. I have clicked and held down. I have double clicked. I have tapped repeatedly. I have tried to swipe and move the booster towards the game screen. I have tried to completely exit and close the app, and then re-opened it. I have also tried on numerous different days. Nothing works. So I guess the game ended at level 3. This game seems fun but I am stuck on level four the game freezes when in the tutorial mode. It says to press the booster but will not let me. Read online this is a common problem with the game. I would give it 5 stars if I could play it but I just dL the game nd started to play up to level 4 Nd then board freezes won’t let me select bomb booster like its telling me to select just stays stuck can’t do nothing so please fix this is the 3rd time I have told you guys but no response 2 being via email Nd now this review! Please fix the bugs. The game is so much fun. I keep re-downloading this game. I like it. 4th time. I’m giving up. It froze at level 4. ZERO help from support! I have iPhone 8. I don’t EVER go through the effort to rate a game but this is unacceptable. It froze on level 4 which is literally part of the tutorial. The bombs don’t work. I closed the app, made no difference. I deleted it, downloaded it again, and it froze on the menu and wouldn’t let me select a level. I closed it again and it let me select level 4 but it still wouldn’t let me progress through the tutorial stage. This game is broken. Don’t waste your time. Something is wrong with level four. It doesn’t respond to anything. It says to select the booster at the bottom of the screen and nothing. This used to be a good game. I cant click the booster icon therefore i cant play the game because it wont allow me to click on anything and so im stuck on the level .. I enjoyed most of the game, but one level won’t open and another can’t be finished. I reported it to the developers but got no response. It wasn’t that fun on stages 1-3 and then it got stuck at the beginning of stage 4. Tried to give it a chance but it didn’t even seem that fun for the hassle. Paid $1.99 for coins during game play and DID NOT receive them. Contacted the game developer and got NO RESPONSE and he/she kept my money. I’m on the 4th stage and in the tutorial I tap the bomb button and nothing happens. It needs to be fixed. This game is not much fun and very frustrating at times. There is a wheel you can spin every 14 hours or so for extra bonuses, but when it lands on a big payoff like 10K, it doesn’t pay out. The last island does not work at all. There are many better designed games out there. On level 76 and I make one move and the game shuts down and takes away a life. I want to love this game, and I would if it would let me progress through level four, but since it glitches even after deleting and reloading the app, I cannot play. I had this game on an older phone and remembered enjoying it up to a glitch much further along in the game. Somehow it’s gotten worse. WHY DO YOU HAVE SUPPORT WHEN NO ONE ACKNOWLEDGES OUR CONCERNS! Can’t get passed the tutorial on 151. After reviewing other comments I noticed others are having the same issue. I will have to delete this app if the issue isn’t fixed. If fixed you get 5 stars from me.